“Hope is a mistake. 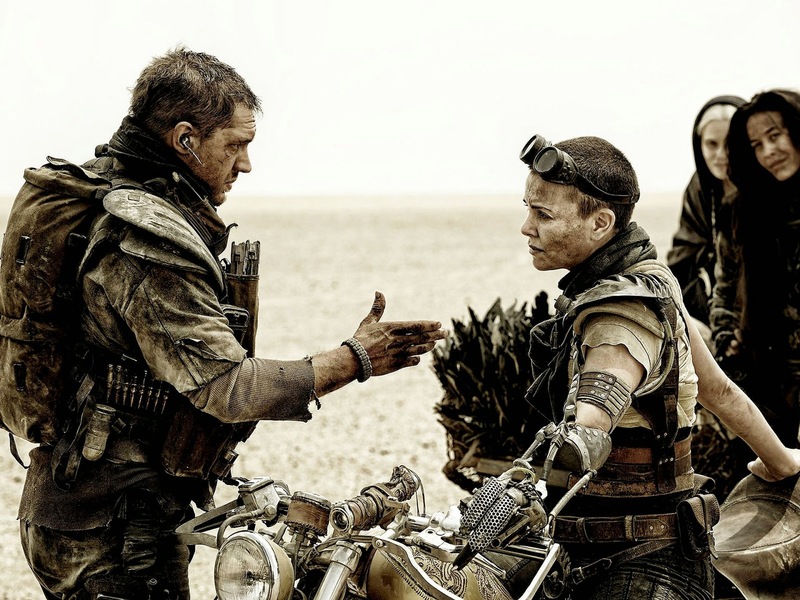 If you can’t fix what’s broken, you’ll go insane.” This muddled piece of dialogue grunted out by Max (Tom Hardy) is a pretty spot on summation of my thoughts on Mad Max: Furious Road. The fact that this film has somehow slipped into the consciousness of the masses, winning the heart of critics and blowing the minds of audiences, is an anomaly to me. With a staggering 98% approval rating on Rotten Tomatoes, I’m still questioning if I happened to miss something or not. I had hoped this would be the heart-thumping action film that others promised. I wanted to bawl over in joy becoming lost in a ridiculous, yet intelligent world created by director George Miller and his fellow screenwriters Brendan McCarthy and Nico Lathouris. But alas, Max was right. Hope is a mistake. The praise over Mad Max baffles me almost as much as the story itself does. Somewhere in the distant future, a nuclear war has created a post-apocalyptic world where water is a precious resource. The sands of desert life is now the soil for most of the inhabitants on the planet and pockets of people exist in mutated, near subhuman groups. There are no animals in this world either, except crows. Food is scarce, transportation is limited to motorcycles and supped up rigs, monster trucks, and gas tanks. Fuel is present and seemingly unlimited aiding in extensive bouts of driving and ammunition for weapons. Water is abundant, but only in the hands of Citadel tyrant, Immortan Joe, a hulking figure suffering from boils and lesions presumably created by inbreeding or radiation if not both. Yet, he keeps the water to himself while also hoarding a league of young attractive women to repopulate with while his masses starve to death slowly keeling over from their own undetermined sicknesses. It takes the appearance of Max to shake things up when he is taken as a slave and human blood donor. He soon escapes forming a symbiotic relationship with Imperator Furiosa (Charlize Theron), a one-armed pseudo badass escaping with Joe’s hoard of wives. Together the group embark on a long car chase attempting to escape the hell of Joe’s reign and his devoted War Boys. I should have known from the title that the main focus of the film would be the road. That was a given actually. What I didn’t expect was the result that every other intriguing aspect of the film that gets introduced would take a backseat to the clumsy steering of the storyline. 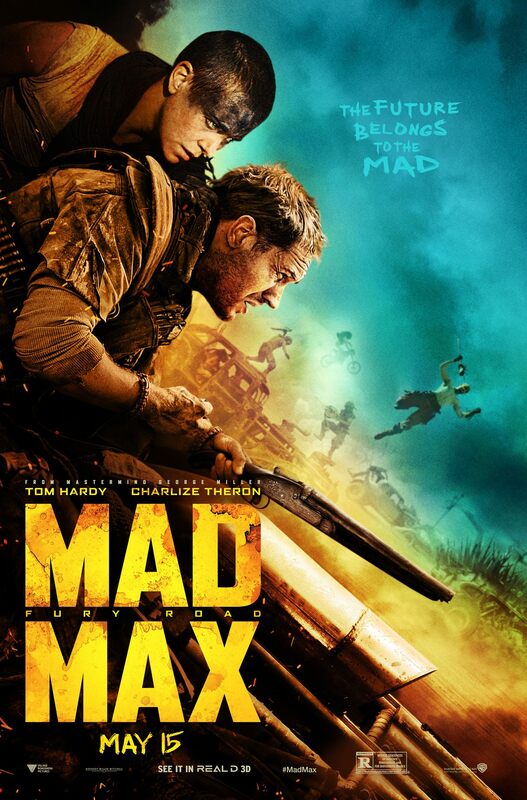 Mad Max introduces viewers to a handful of incredibly interesting aspects of the society we find ourselves observing. A culture wrecked by the loss of natural resources. It’s people physically and psychologically dependent on a beasting figure who tells them not to depend on water for they will resent its absence. A place in which children without disabilities apparently exist, but are forced to work on rigs to pump water from the ground. We see lands where it’s inhabitants have adapted to the changing environment becoming birdlike creatures walking on stilts. We catch glimpses of the religious reverence of citizens who long to leave a legacy behind, even shouting “witness me” before death. Yet, we are given no reference to how or why these elements exist. Furthermore, once we catch these glimpses they are just as quickly ignored leaving details and an understanding of this world for audience to speculate on. We don’t receive much elaboration on “who killed the world,” a phrase that gets repeated throughout the film. The answer is Joe, but how did he do it? How did he achieve his status? Why did he do it? Mad Max doesn’t care for the details as I soon found out. This lack of depth results in Joe personifying the typical bad guy movie villain role who just wants to run the world just because. Silly me for expecting more. Mad Max’s primary focus is on menial aspects like 40-minute chase scenes in which we see the same cat and mouse scenarios happen over and over again. For some this lack of care for consistency along with an underdeveloped story is warranted, welcomed even, for the hokey action of the film that takes place. 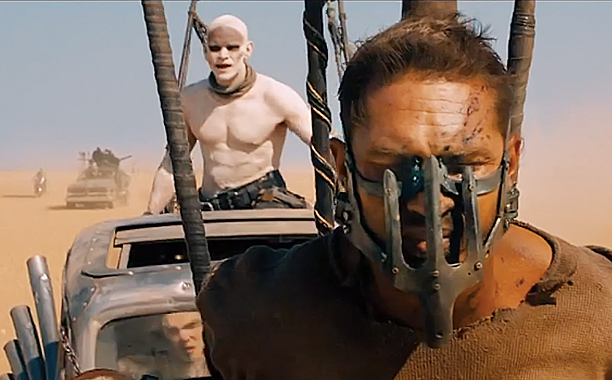 Nevertheless, Mad Max’s action is another aspect of the film that felt utterly worthless. I regretfully spent $17.50 on a Regal “Premium 3D experience” which just means a more upscale theater in which you can bring in your overpriced beer and food bought from the bar (which by the way, why are we as a society allowing movie theaters to bend us over and ram their fists up our keisters searching for loose change anyway?). I would have been better off seeing Mad Max for half the price in regular old 2D while smuggling in my own food and booze as usual. While the scope of the film’s production is impressive, the 3D does nothing to add to the tension of the film, nor to its scenery. All of the details are in the forefront of the screen leaving the background of every scene flat And simple as if it were just a painted backdrop added in post-production. It’s possible to combine hokey, off the wall shenanigans with brimming social commentary and jarring thrills. Dredd did it to near perfection. Unfortunately, Mad Max: Fury Road misses the mark by a long shot, instead playing off of audiences love for the series as a whole and embodying typical mainstream narratives and motifs. And while I appreciate the writer’s attempts at including a feminist angle to the film, it’s utterly disappointing that the women still rely heavily on the help of men throughout the film ultimately accomplishing nothing on their own. Mad Max: Fury Road felt like a hollow set-up for a sequel and judging by everyone’s open acceptance of the film, a sequel has already been manifested, whether it’s wanted or not. AVOID IT. Though I’m sure you will love it if you haven’t already seen it. Hope is a mistake only if not followed through.